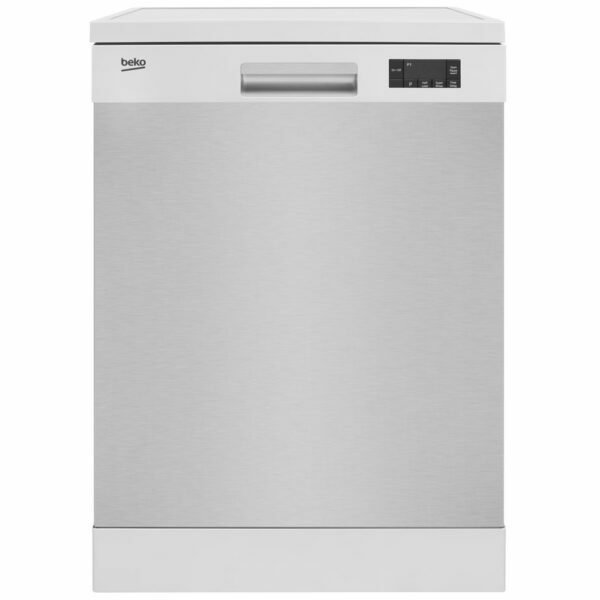 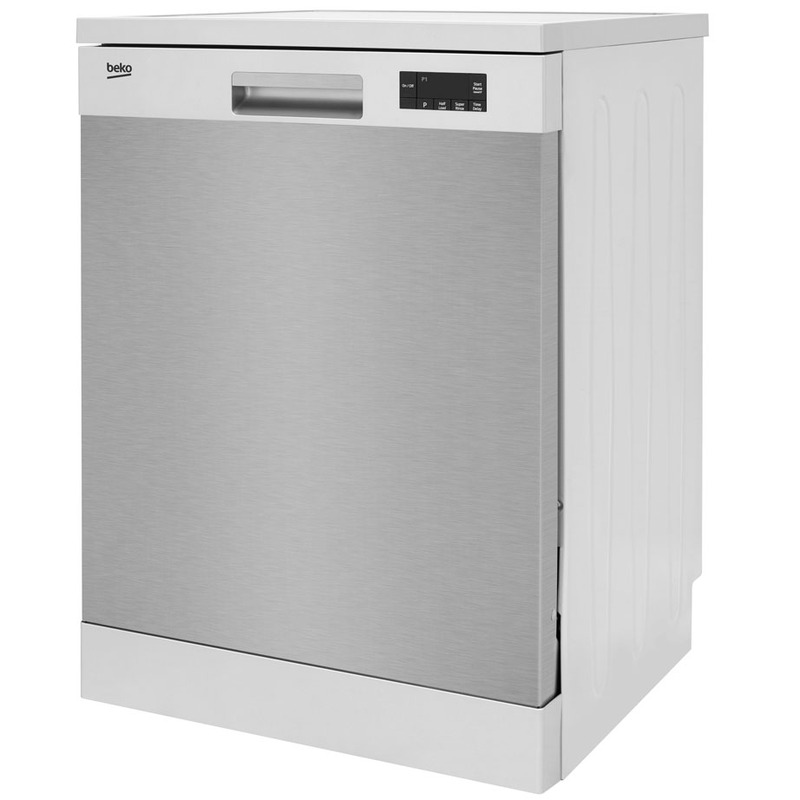 This Beko Dishwasher finished in a stylish stainless steel, is the freestanding model with flexible baskets and high energy efficiency. This full size dishwasher comes with a choice of 6 programmes, including the quick Mini 30′ programme which washes a full load in just 30 minutes. 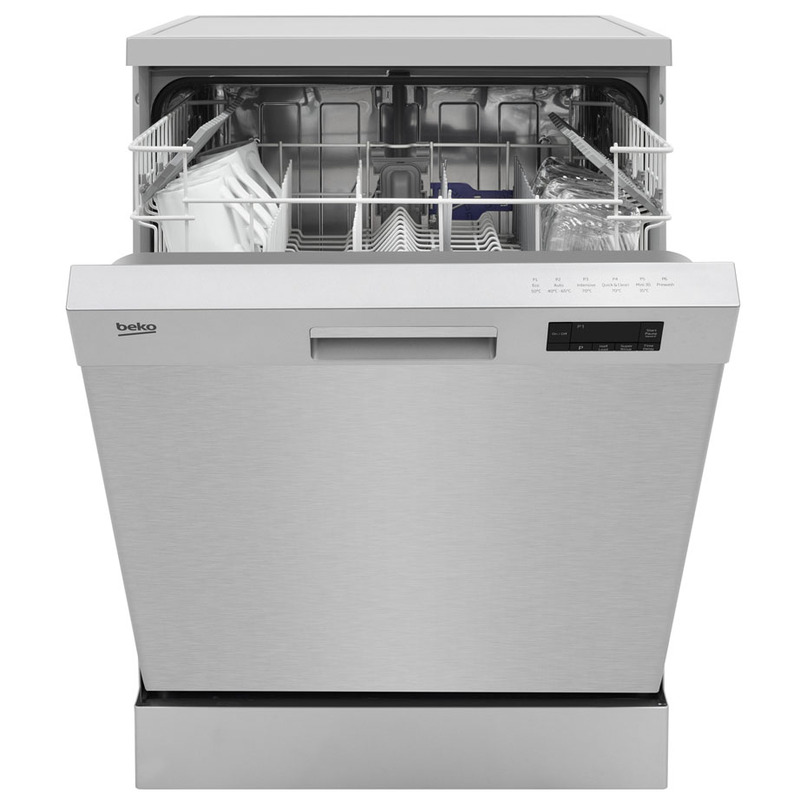 Perfect for when you’re in a hurry, our Mini 30’ programme can wash a full load of slightly dirty dishes in just 30 minutes. 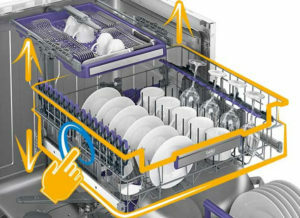 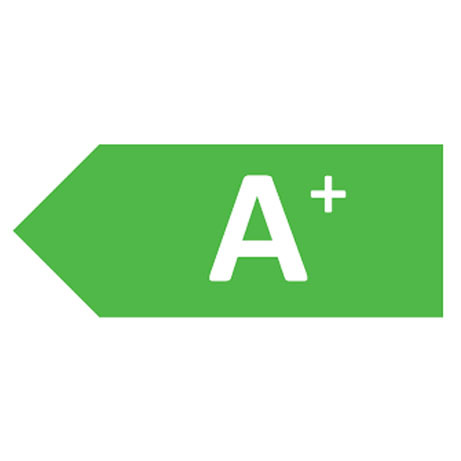 And, when you have even dirtier items to clean, the Quick&Shine™ programme only takes 58 minutes to wash a full load – saving you time and money. 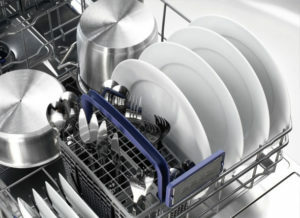 You can make room for larger items in the bottom basket by adjusting the flexible upper basket, with three different height levels to choose from. 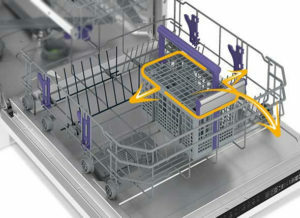 The basket can be easily moved up and down, even when it’s fully loaded. 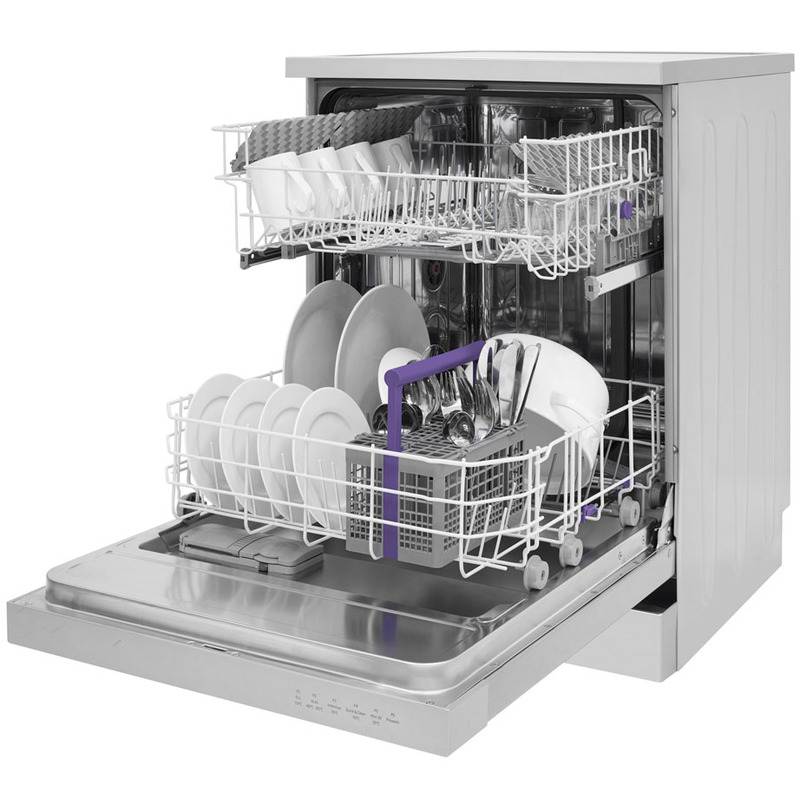 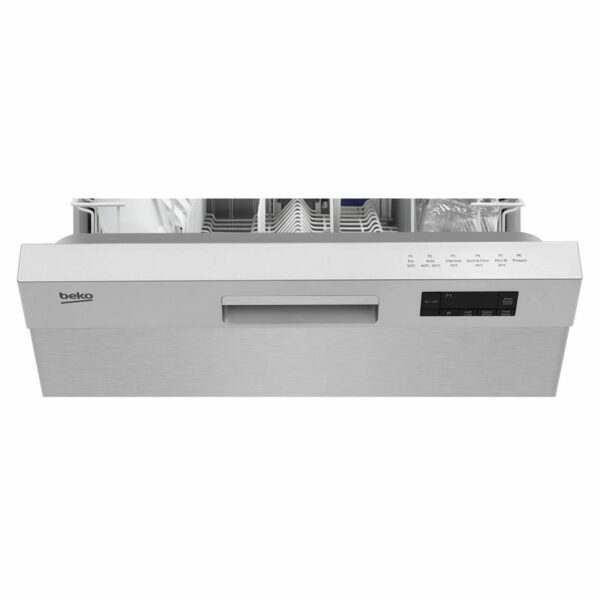 Great for any family’s everyday needs, the 12 place setting capacity means you can wash all of your dishes in one go. 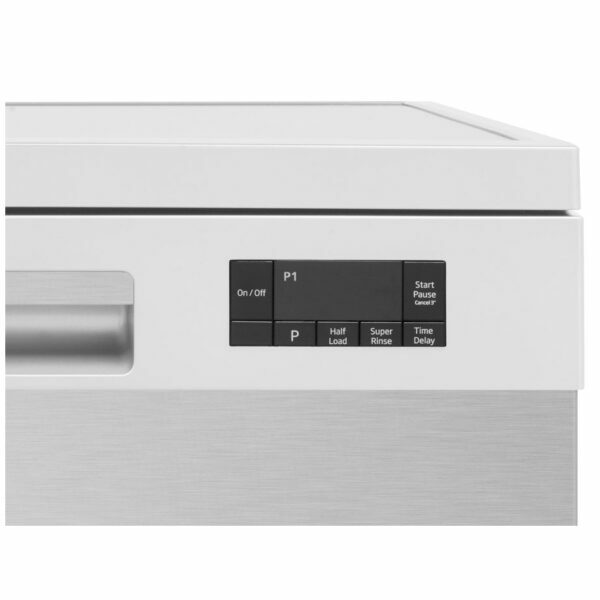 Perfect for open plan kitchens, the low noise level means you’ll barely hear the dishwasher working. You can save money on your utility bills and do your bit for the environment with this dishwasher’s low water and energy consumption.